tructing the ecosystem of the ocean, and a variety of lives can be wiped out from Earth. Besides acting as a habitat for a variety of marine creature, the reef also has high research value in terms of biomedical treatments (E.g. Many reef animals have been identified to contain anti-carcinogenic property). Losing them might mean losing cure to fight some of the deadliest diseases prominent to human. Coral reefs around South-East Asia are frequently bombed by local fishermen. Bomb fishing is one of the cheapest ways for them to get more fish. They are not aware that the activity could kill not only fish but corals and other reef creatures as well. 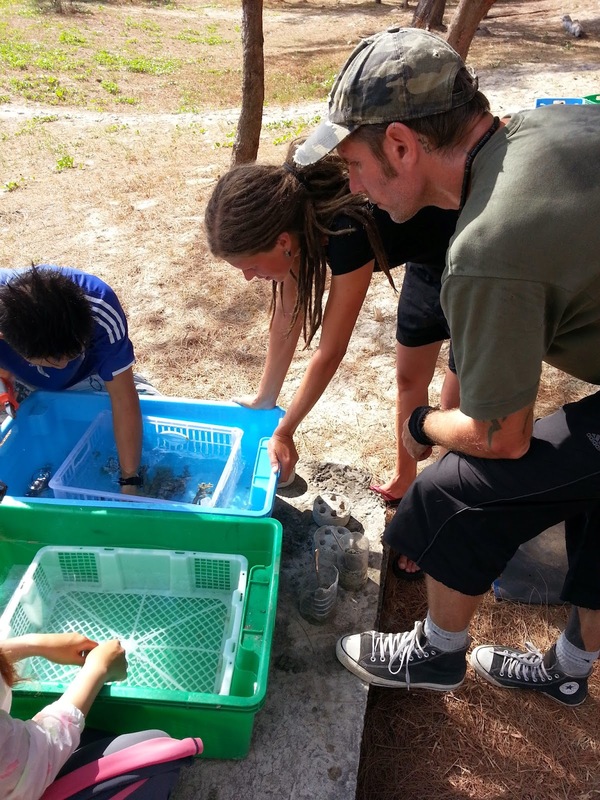 This is why TRACC held “Coral Planting Day” in Kudat, Sabah to celebrate World Ocean Day. The objective of this event is to increase awareness regarding the importance of the coral reef and the need to protect them. 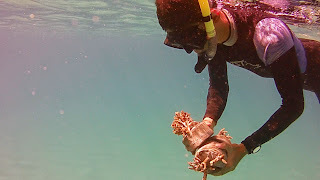 We talked to the people about the reef condition in the sea at the moment, how human activities affected corals, and what we hope to achieve by replanting corals. 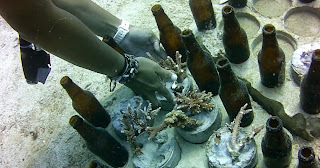 Prior to the event, bottle reefs were made using cement and glass bottles. This is a relatively cheap way to build a base for replanted coral fragments to grow. Coral fragments were collected in the morning on the day of the event. These were usually large fragments found lying on the seafloor, knocked off by boat anchor or strong wave. During the programme, we used a clipper to cut them into smaller fragments that can fit nicely into the holes of the biscuits, and a mixture of cement and tile adhesive to hold the coral fragments in place. We waited until the structure became stable before bringing them to deeper sea where the bottle reefs sat. We put the coral biscuits on the bottle reefs, just as you can see in the pictures, with some coral fragments tied with cable ties onto the bottles. Kit teaching volunteers how to cut big coral fragments into smaller pieces. Kit transferring hardened coral biscuits from shallow sea to the boat. Putting coral biscuits onto the bottle reefs. First impressions of changes to Pom Pom reefs.